For a list of projects, presentations, and publications, and a copy of Kimberley Hodgson’s resume, click on the links below. Raja, Samina, Jennifer Whittaker, Enjoli Hall, Kimberley Hodgson, Maryam Khojasteh, and Jeanne Leccese. In Press. “Growing Food Connections through Planning: Lessons from the United States.” In Integrating Food into Urban Planning. United Nations Food and Agricultural Organization (FAO). Clark, Jill K.; Freedgood, Julia; Irish, Aiden; Hodgson, Kimberley; and Raja, Samina. 2017. “Fail to Include, Plan to Exclude: Reflections on Local Governments’ Readiness for Building Equitable Community Food Systems.” Special Issue on Planning for Equitable Urban and Regional Food Systems. Built Environment 43 (3):315-327. Whittaker, J. and K. Hodgson. Empowering the Community to Lead: Food Systems Planning and Policy in Lawrence and Douglas County, Kansas. In Kimberley Hodgson and Samina Raja (Series Editors), Innovation Deep Dive. Growing Food Connections. 13p. 2017. Clark, Jill, Molly Bean Smith, Samina Raja, Scott Loveridge, Julia Freedgood, and Kimberley Hodgson. “Cooperative Extension and Food System Change – Goals, Strategies and Resources.” Agriculture and Human Values, 2017, vol. 34, issue 2, 301-316. Martin, Kara, and K. Hodgson. Moving from Resilient Planning to Implementation: Minnesota’s Region 5 Transforms its Food System. In Kimberley Hodgson and Samina Raja (Series Editors), Innovation Deep Dive. Growing Food Connections. 13p. 2017. Dillemuth, Ann, and K. Hodgson. Food Aggregation, Processing, and Distribution. In Kimberley Hodgson and Samina Raja (Series Editors), Planning & Policy Briefs. Growing Food Connections. 9p. 2016. Dillemuth, Ann, and K. Hodgson. Incentivizing the Sale of Healthy and Local Food. In Kimberley Hodgson and Samina Raja (Series Editors), Planning & Policy Briefs. Growing Food Connections. 8p. 2016. Dillemuth, Ann. Leading the Way: A Legacy of Food Systems Planning and Policy Work in Multnomah County, Oregon. In Kimberley Hodgson and Samina Raja (Series Editors), Exploring Stories of Innovation. Growing Food Connections. 4p. 2016. Hodgson, Kimberley, and K. Martin. Building from the Inside Out in Region 5 Minnesota: A Rural Region’s Effort to Build a Resilient Food System. In Kimberley Hodgson and Samina Raja (Series Editors), Exploring Stories of Innovation. Growing Food Connections. 4p. 2016. Hodgson, Kimberley, K. Mosher. Private-Public Partnerships: Cornerstone of Food Systems Planning and Policy in Rural Marquette County, Michigan. In Kimberley Hodgson and Samina Raja (Series Editors), Exploring Stories of Innovation. Growing Food Connections Project. 3p. 2016. Hodgson, Kimberley, Z. Fodor. Philadelphia, Pennsylvania: A Mayor’s Office and Health Department Lead the Way in Municipal Food Policymaking. In Kimberley Hodgson and Samina Raja (Series Editors), Exploring Stories of Innovation. Growing Food Connections Project. 3p. 2016. Fodor, Zsuzsi, K. Hodgson. 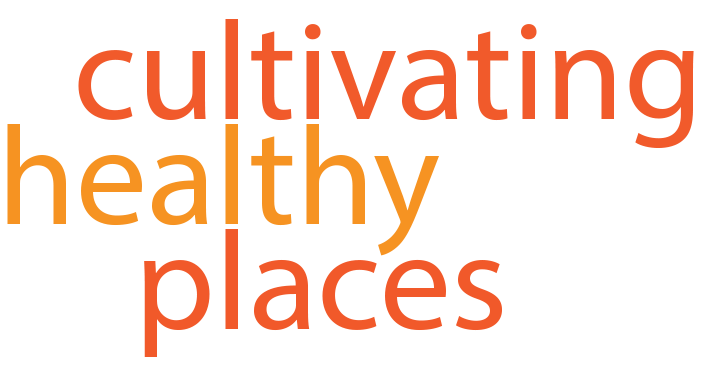 Cleveland, Ohio: A Local Government’s Transition from an Urban Agriculture Focus to a Comprehensive Food Systems Policy Approach. In Kimberley Hodgson and Samina Raja (Series Editors), Exploring Stories of Innovation. Growing Food Connections Project. 3p. 2015. Dillemuth, Ann, and K. Hodgson. Local, Healthy Food Procurement Policies. In Kimberley Hodgson and Samina Raja (Series Editors), Planning & Policy Briefs. Growing Food Connections. 5p. 2015. Hodgson, Kimberley. “Advancing Local Food Policy in Cabarrus County, North Carolina: Successes and Challenges in a Changing Political Climate.” In Kimberley Hodgson and Samina Raja (Series Editors), Exploring Stories of Innovation. Growing Food Connections Project. 3p. 2015. Hodgson, Kimberley, Z. Fodor. “Mayoral Leadership Sparks Lasting Food Systems Policy Change in Minneapolis, Minnesota.” In Kimberley Hodgson and Samina Raja (Series Editors), Exploring Stories of Innovation. Growing Food Connections Project. 3p. 2015. Fodor, Zsuzsi, K. Hodgson. 2015. “Healthy Food System in the Heartland: Intergovernmental Cooperation in the City of Lawrence and Douglas County, Kansas Advances Food Policy.” In Kimberley Hodgson and Samina Raja (Series Editors), Exploring Stories of Innovation. Growing Food Connections Project. 3p. Whitton, Elizabeth, J. Leccese and K. Hodgson. “Baltimore City, Maryland: A Food in all Policies Approach in a Post-Industrial City.” In Kimberley Hodgson and Samina Raja (Series Editors), Exploring Stories of Innovation. Growing Food Connections Project. 3p. 2015. Whitton, Elizabeth, K. Hodgson. Lessons From an Agricultural Preservation Leader: Lancaster County, Pennsylvania. In Kimberley Hodgson and Samina Raja (Series Editors), Exploring Stories of Innovation. Growing Food Connections Project. 2p. 2015. Whitton, Elizabeth, K. Hodgson. 2015. “Championing Food Systems Policy Change in Seattle, Washington.” In Kimberley Hodgson and Samina Raja (Series Editors), Exploring Stories of Innovation. Growing Food Connections Project. 2p. Hodgson, Kimberley, Z. Fodor and Maryam Khojasteh. Multi-level Governmental Support Paves the Way for Local Food in Chittenden County, Vermont. In Kimberley Hodgson and Samina Raja (Series Editors), Exploring Stories of Innovation. Growing Food Connections Project. 5p. 2015. ACS CAN Supports Active Transportation Policies and Infrastructure Fact Sheet. Public Policy Issue. Active Transportation and Recreation. American Cancer Society Cancer Action Network. 2015. Hodgson, Kimberley. “Food Access Through Land Use Planning and Policies”. Centers for Disease Control and Prevention – Division of Community Health. A Practitioner’s Guide for Advancing Health Equity: Community Strategies for Preventing Chronic Disease. Atlanta, GA: US Department of Health and Human Services; 2013. Kimberley Hodgson. Investing in Healthy, Sustainable Places through Urban Agriculture. The Funders’ Network for Smart Growth and Livable Communities, Fall 2011. Christina DiLisio and Kimberley Hodgson. Food Policy Councils: Helping local, regional and state governments address food system challenges. American Planning Association, July 2011. Kimberley Hodgson and Kelly Ann Beavers. The Role of the Arts and Culture in Planning Practice. American Planning Association, 2011. Kelly Ann Beavers and Kimberley Hodgson. Community Engagement: How Arts and Cultural Strategies Enhance Community Engagement and Participation. American Planning Association, 2011. Jeff Soule, Kimberley Hodgson, and Kelly Ann Beavers. Community Character: How Arts and Cultural Strategies Create, Reinforce, and Enhance Sense of Place. American Planning Association, 2011. Kimberley Hodgson, Marcia Caton Campbell, and Martin Bailkey. Urban Agriculture: Growing Healthy, Sustainable Places. American Planning Association, Planning Advisory Service Report Number 563, January 2011. Barbara McCann and Suzanne Rynne, ed. Complete Streets: Best Policy and Implementation Practices. American Planning Association, Planning Advisory Service Report Number 559, April 2010. Hodgson, KE and Peemoeller, L. QuickNotes: Food Systems Planning. APA 2010. Hodgson, KE. Where Food Planning and Health Intersect: Welcome to the Next Big Trend. Planning 2009; August/September: 8-13. Hodgson, KE. Virginia Cooperative Extension PUBS, May 2009, “Keep You and Your Family Lean with Lean Protein”. Hodgson, KE. Virginia Cooperative Extension PUBS, May 2009, “Vegetables: How Much Do I Need?”. Hodgson, KE. Compendium of Model Sustainability Practices, June 2008, “Health”.